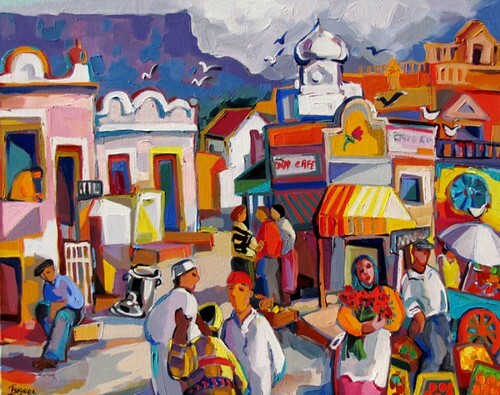 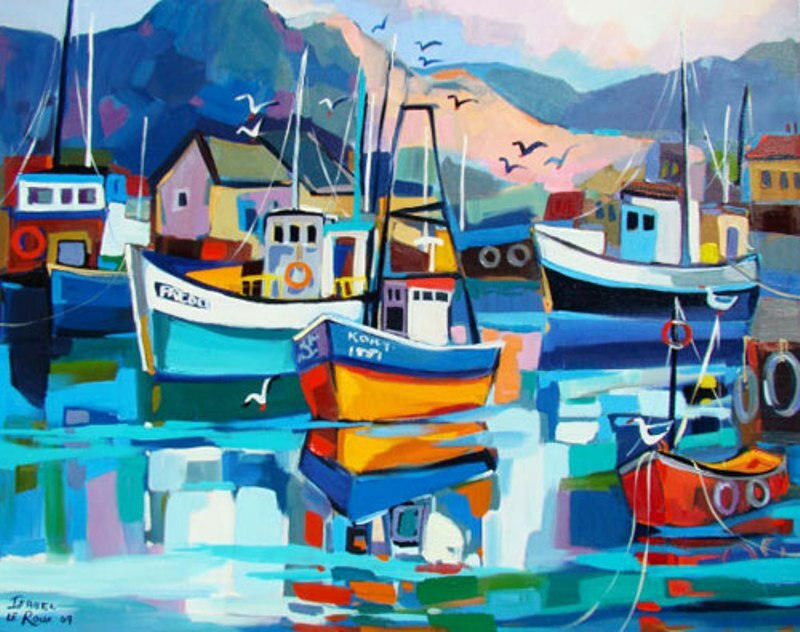 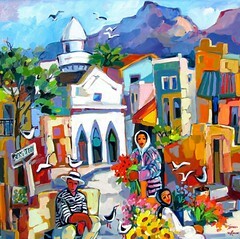 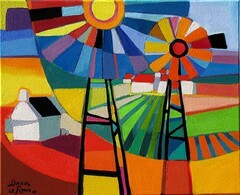 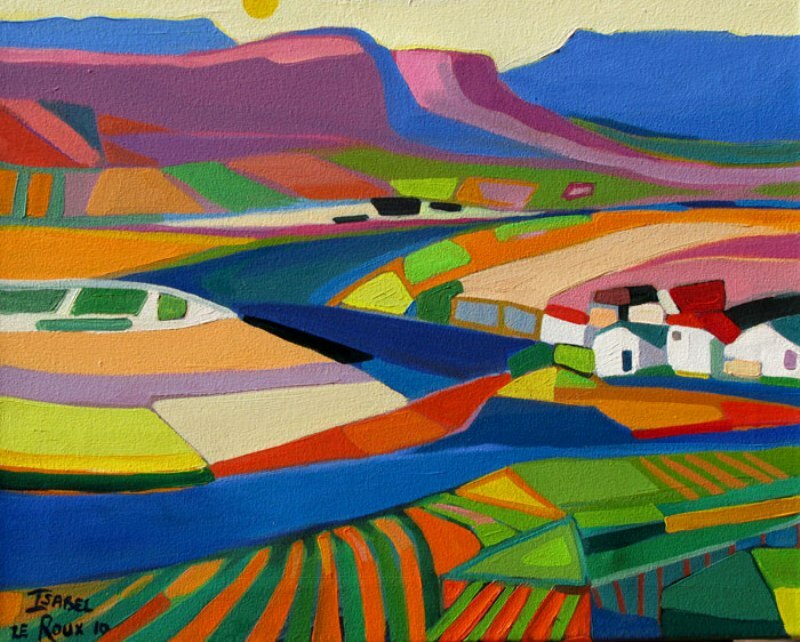 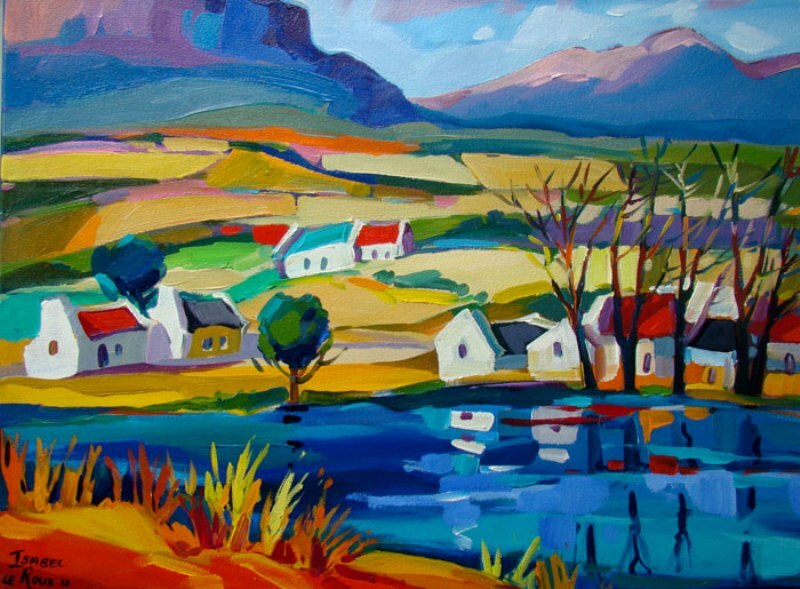 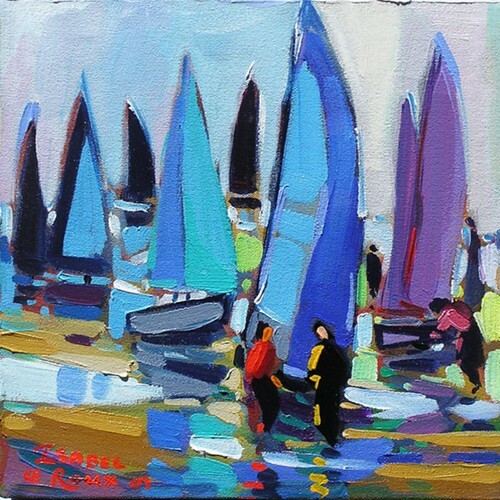 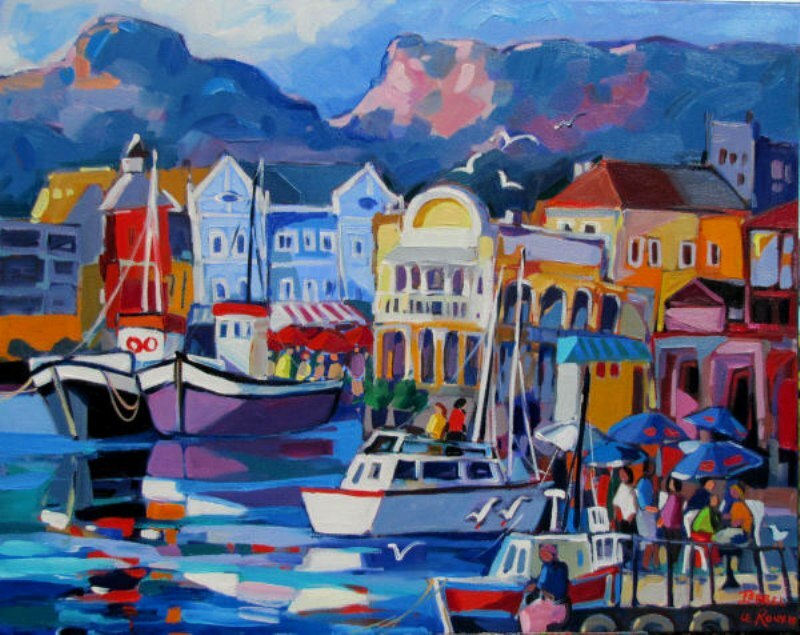 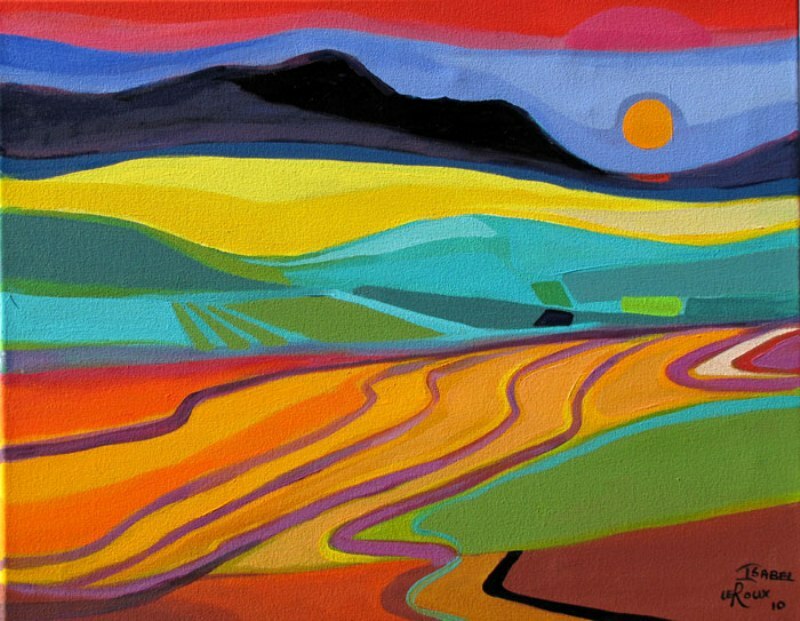 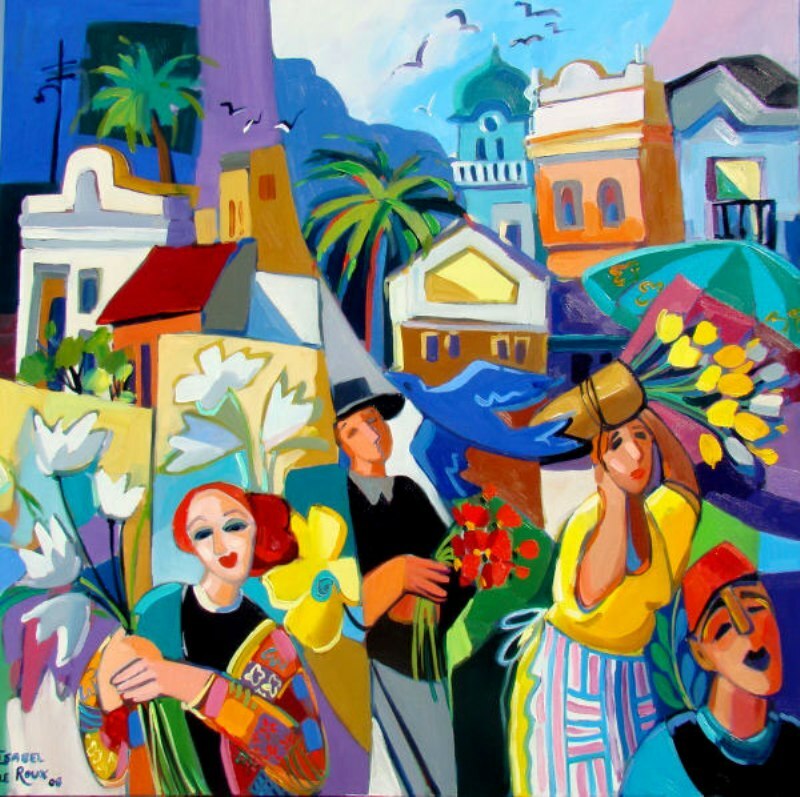 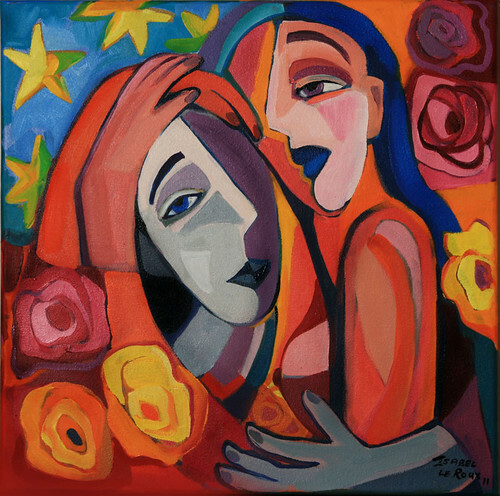 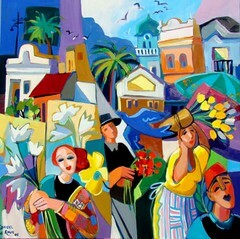 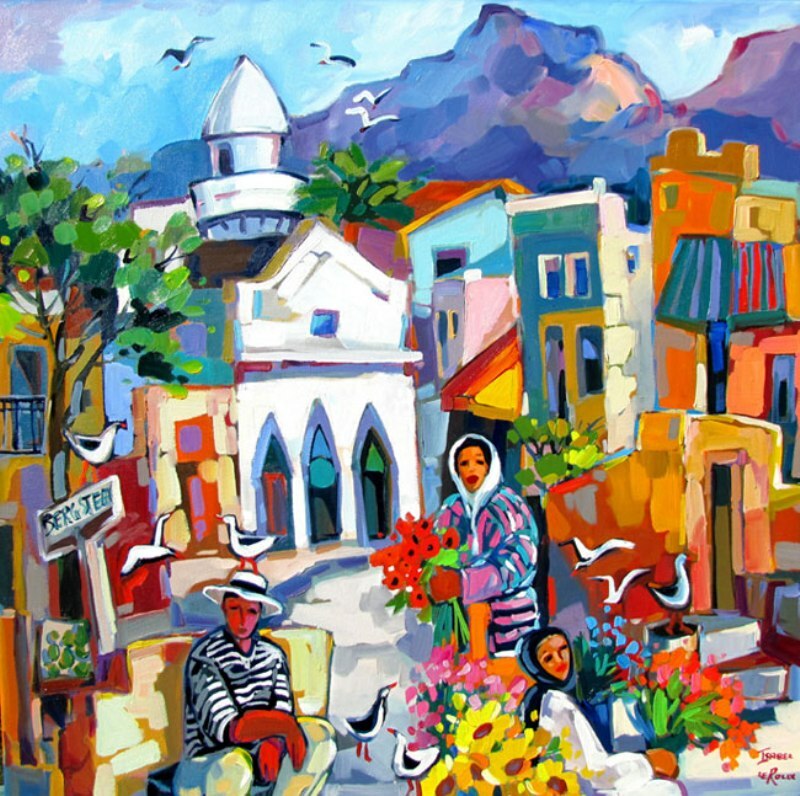 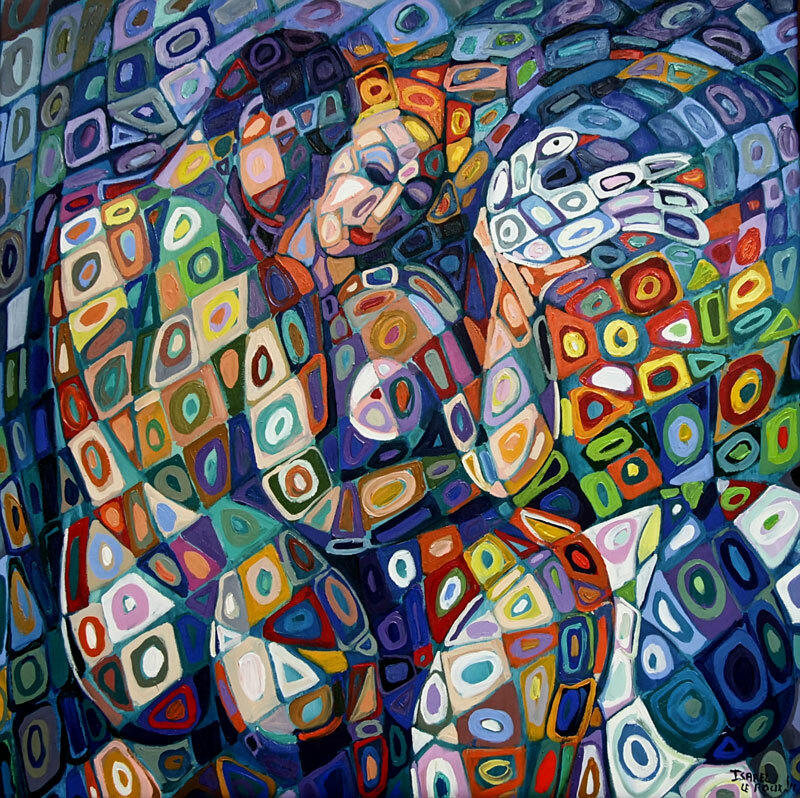 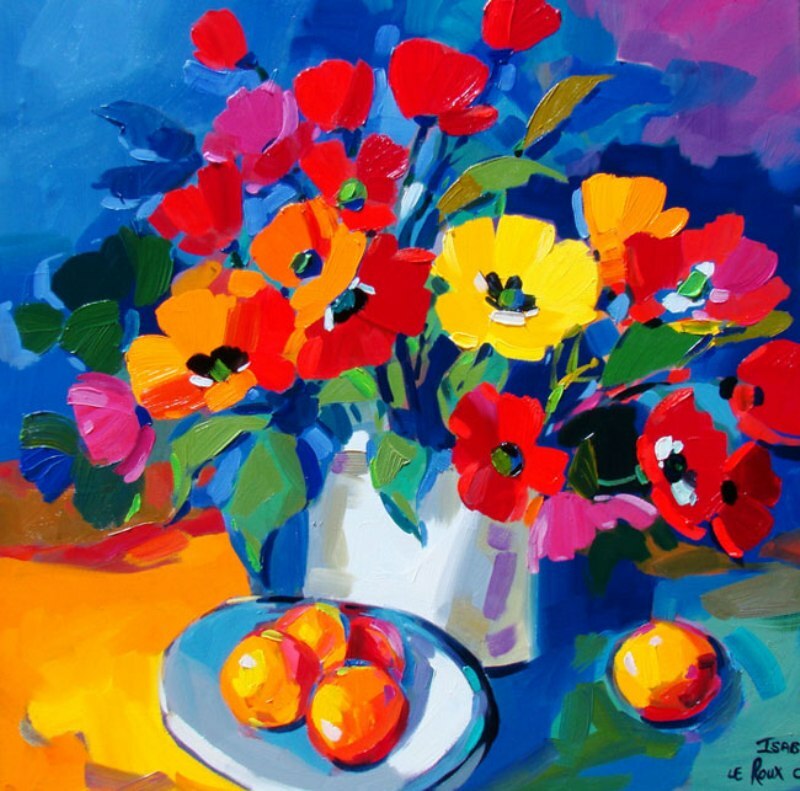 Her dynamic style is both expressionistic and contemporary, employing the vibrant and bold use of colour to depict typical South African scenes, particularly the Cape and it’s people. 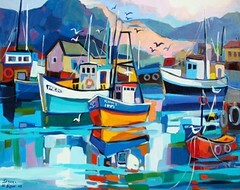 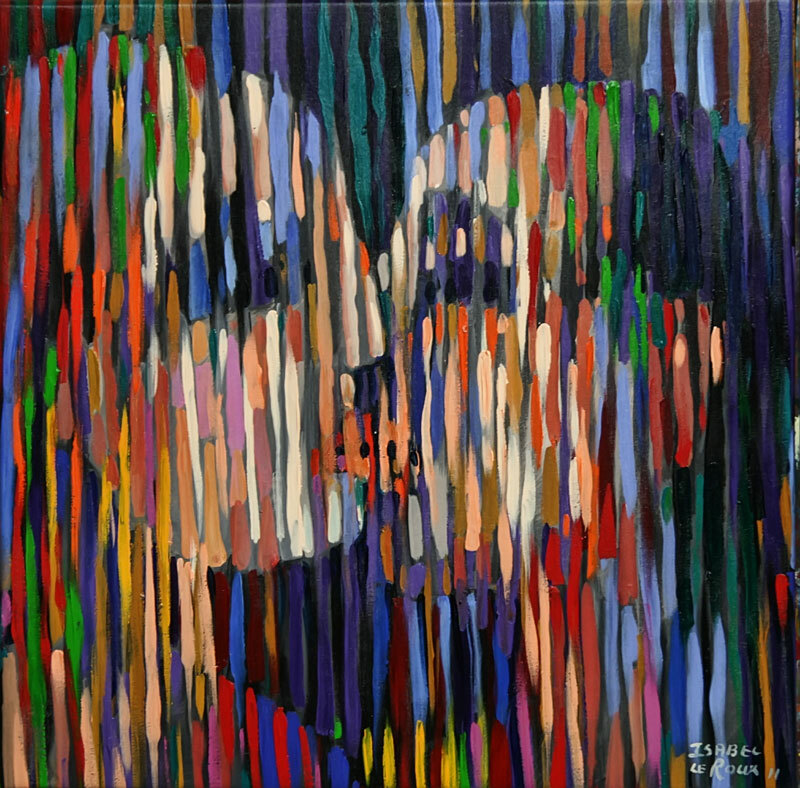 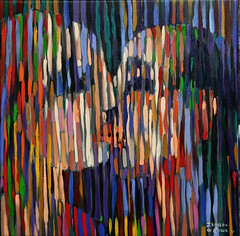 She paints mainly in oils but also uses acrylics, watercolours, pen on paper and mixed media. 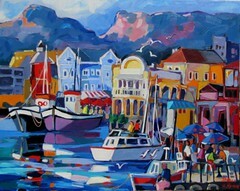 Her passion and commitment is evident in her artwork and her travels abroad have brought a new dimension to her work. 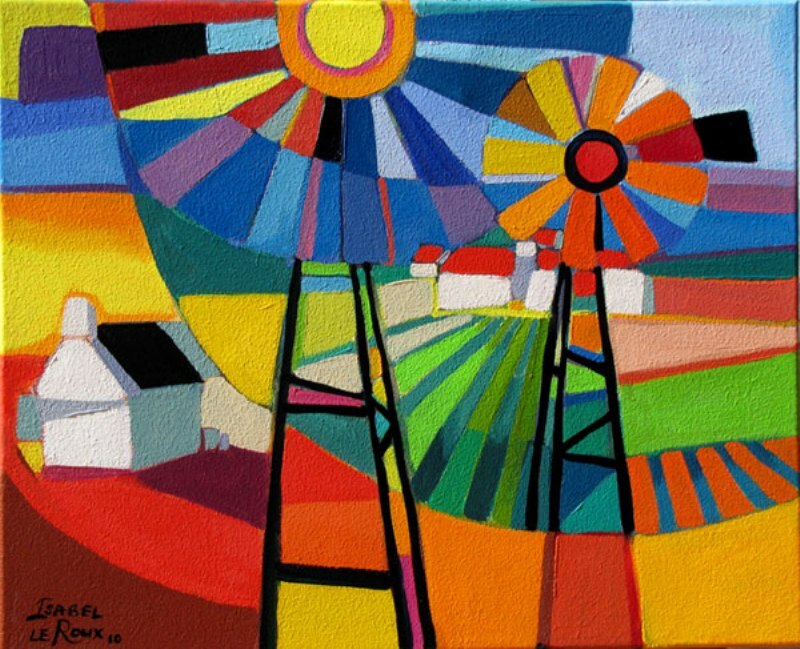 She is one of the most prolific artists in South Africa. 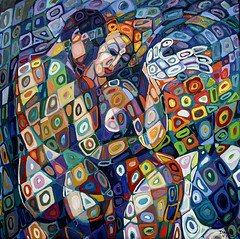 Her first solo exhibition in 1974 was followed by thirty-six more solo and group exhibitions, both locally and overseas. 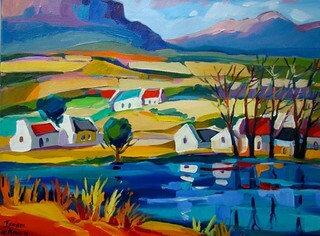 She was recently honoured with a three month sabbatical in the “Cite International Des Artes’ in Paris. 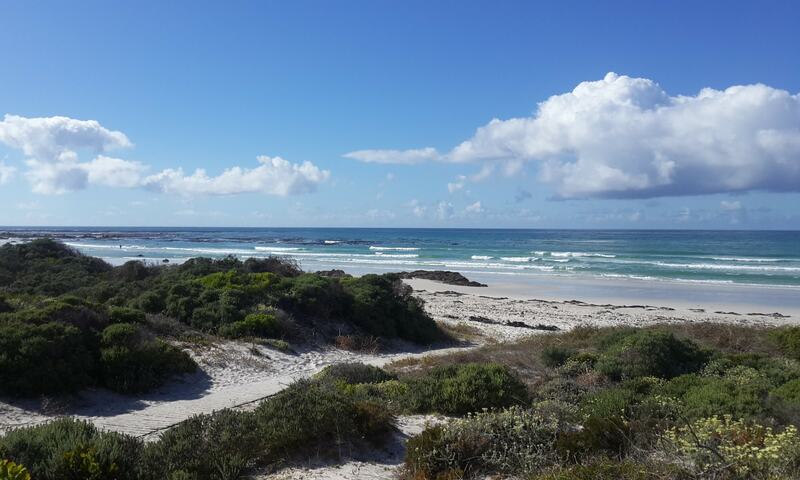 (Flickr slideshow).